Looking for the perfect companion for your bedroom that not only adds an aesthetic value but also adds beauty to your room? Garren King Bed with Headboard & Box Storage is the choice for you. Not only does this bed come in the most desirable size, but also adds a modern touch to your room and house. The beautiful colour of this bed adds beauty to your room. 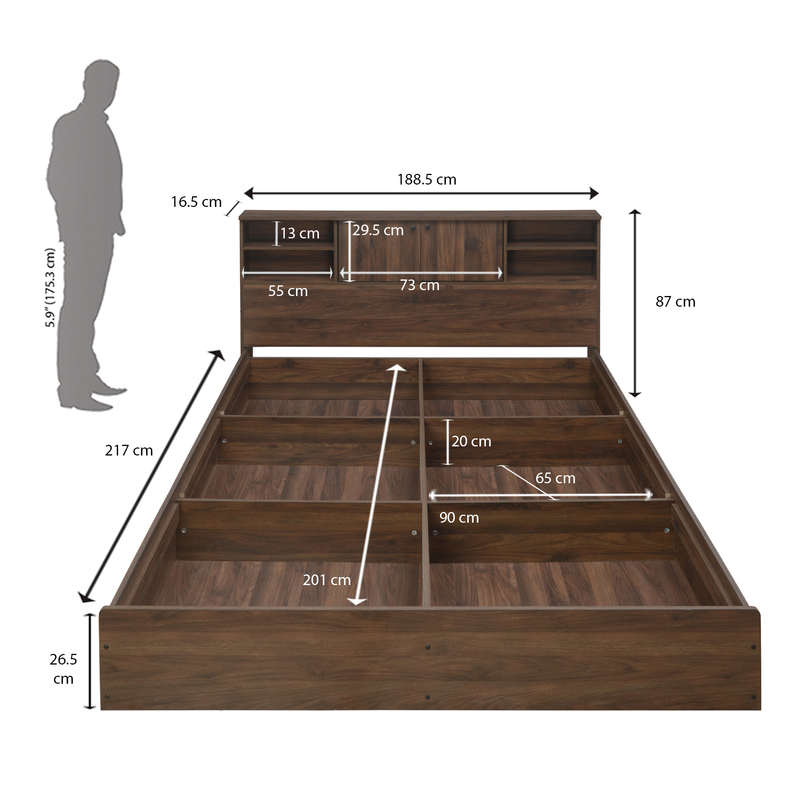 Furthermore, when it comes to utility, Garren King Bed with Headboard & Box Storage has got you covered. This bed comes with double storage options for you to keep your items safe. You can use the headboard storage units to protect your things. There are open spaces in the headboard as well as the closed spaces. Furthermore, there are four compartments divided into sections that offer you a larger space for storing your materials. The make of this bed is done with the help of engineered wood, which makes this bed look and feel sturdy. With many storage units and options of use, this bed is one of the best choices for you and your bedroom. Place an order for your very own Garren King Bed with Headboard & Box Storage with the help of @home only and get a free installation service free with this bed!